My hours are all inside out because of reading too much and sleeping too little. So the other night after I finishing the new Harry Dresden book- I started drawing dots. Lots and lots of dots. This is the result. I hope you like it. I'm really happy with the digital turquoise effect!! 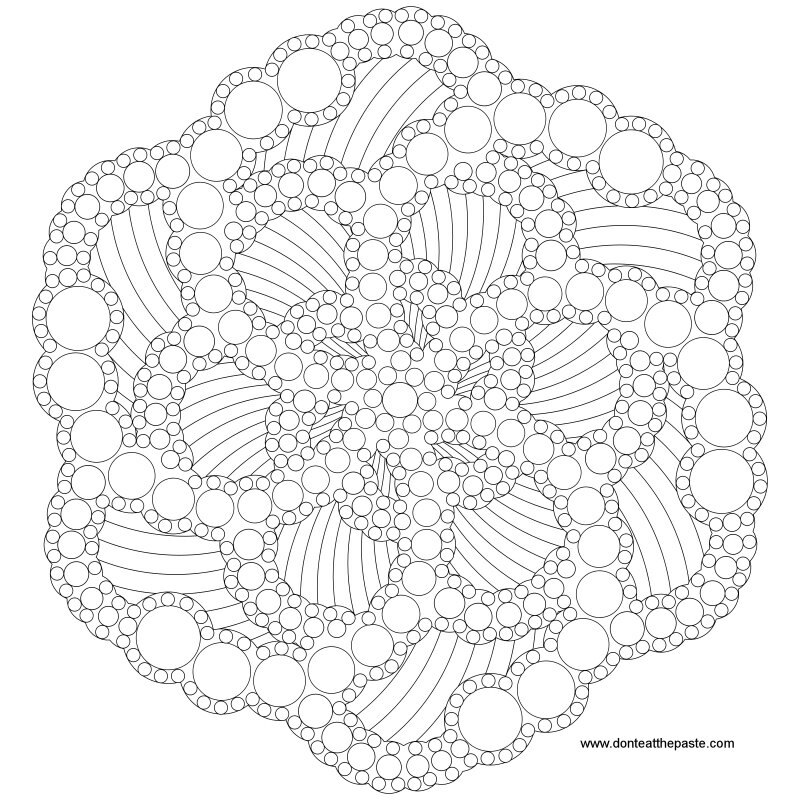 Click the images below to get a larger version to print and color. This one is great, I really like dots in artwork. I have been getting my children into decorating $1 and they are loving it. This one is great, I really like dots in artwork. I have been getting my children into decorating them and they are loving it. 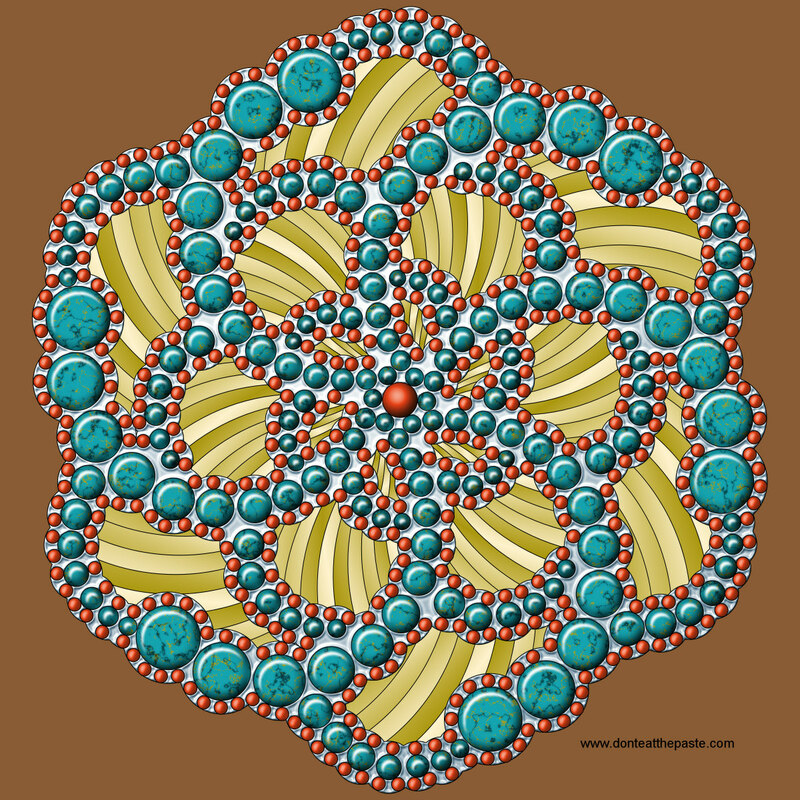 Thanks, Shala, for this interesting mandala! Who would have thought a bunch of dots could make such an interesting design? This should be really fun to color!